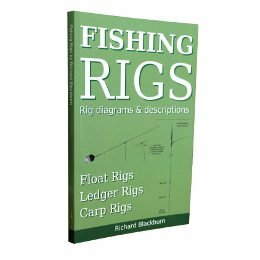 Float fishing for Tench is most effective in the spring and early summer. But it’s the third week in August and this is my first trip Tench fishing this season. 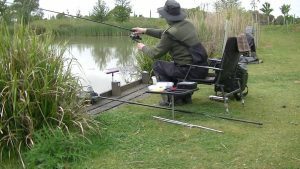 I have left it a little late in the year, but because I am fishing a purpose built Tench lake, I should be able to catch some. 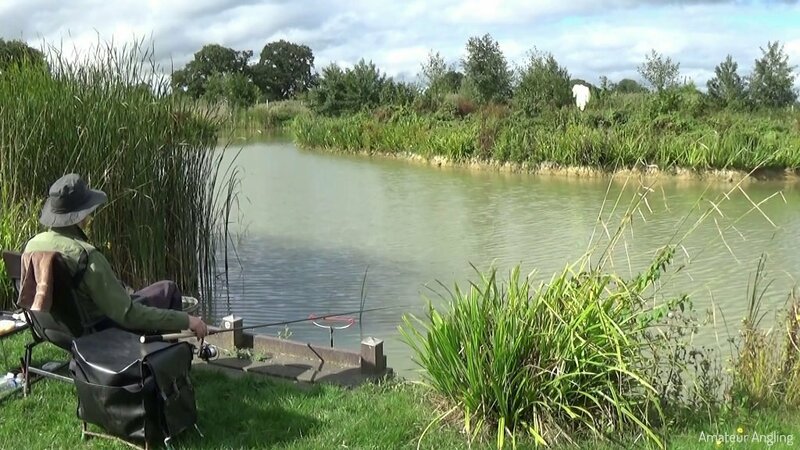 I have plumbed the lake in front of my peg and selected two swims. My main swim is to my left, close to some marginal reeds just as the water deepens. My backup swim is to the right and further out. Both swims have virtually the same depth, which is handy. In my experience, Tench have a favourite method of escape, they head for the nearest reed bed. As I’m fishing right next to a reed bed, I need to be ready to hold them as soon as I get a bite. When I strike, I strike to the side, away from the reeds. This gives me the advantage of already pulling the fish away from the reeds before it has chance to react. So long as I can keep it out in open water, it is just a matter of playing the fish out. In my main swim, I’m feeding 6mm coarse pellets with soft 6mm pellets on the hook. To stop the soft pellets splitting when I put them on the hook, I carefully follow the bend in the hook with the pellet. 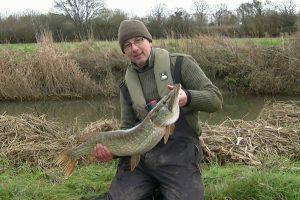 I find they stay on well during the cast once they are safely on the hook. 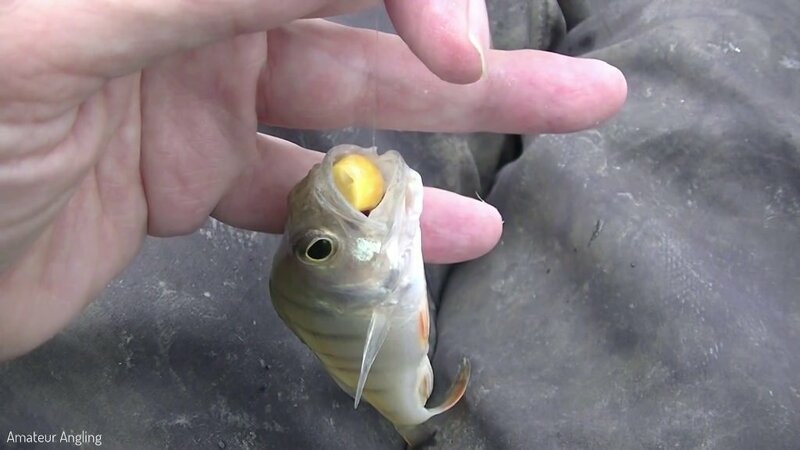 In my backup swim I am using sweet corn for both feed and hook bait. My rig is an ordinary Waggler rig using an insert Waggler. 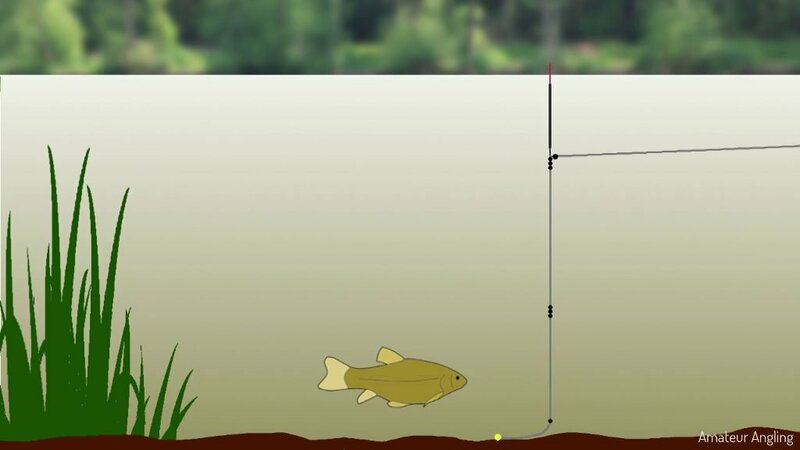 Tench find a bait easier to pick up if allowed a little room. So I have set the depth to cause the last four inches of line to lay on the lake bed. I have the tell tale shot set five inches from the hook. By feeding the swims little and often, I keep the Tench coming through the morning. 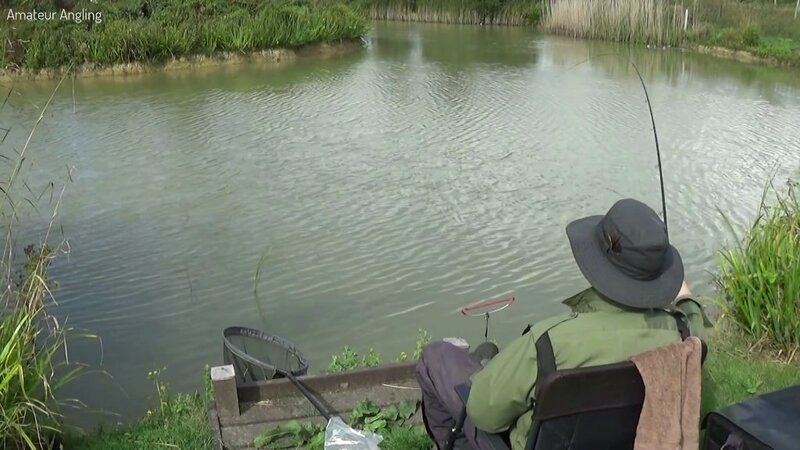 I know the fish will go off eventually, and just before midday, I start to see the first finicky bites. I miss the odd bite, but then lose one right in the swim. To give the fish more confidence, I give them a little more room to take the bait. I move the float and all the shot two inches further up the line. 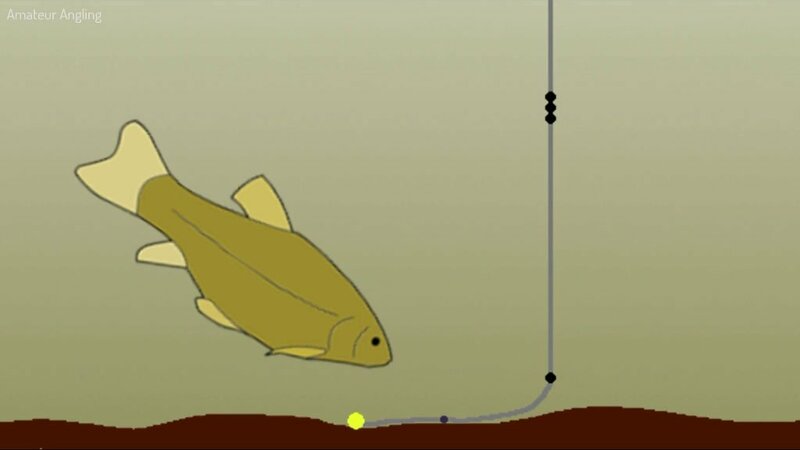 This has the effect of laying two more inches of line on the lake bed, giving the fish more time and room, before the float indicates a bite. I decide to rest my main swim and try my backup. In the second swim, the wind, which has got stronger, is pulling the float causing it to drift. It is only just drifting, so I add a No.8 two inches above the hook, which will rest on the bottom to act as an anchor. Despite my best efforts, I cannot hit the bites in the backup swim. The main swim has been rested for a while now, so I will give it another go. After giving the Tench a little more room on the rig, I manage to hook and land a couple of small ones. But then I begin to catch small Perch. I change to corn on the hook to put off the Perch, but to no avail. This is a sure sign the Tench are no longer in the swim, my Tench session is done for this morning. No doubt they will regain their appetite later in the day, but for me, it’s time to go.